One of the inaugural Gustavo Dudamel Conducting Fellows of the Los Angeles Philharmonic, Perry So received the First and Special Prizes at the 2008 International Prokofiev Conducting Competition in St Petersburg. This season, engagements include debuts with The Cleveland Orchestra and the China Philharmonic Orchestra, and return visits to the Vancouver Symphony Orchestra, Round Top Festival, Orquesta Sinfónica del Principado de Asturias and the Florida Orchestra, following his highly successful debut there last season. Last season also saw Perry make his debuts at the Residentie Orkest, and the Israel, Tenerife and Charleston Symphony orchestras as well as returning to the Los Angeles Philharmonic. Other recent engagements include the London Philharmonic Orchestra, Milwaukee Symphony Orchestra, Zürcher Kammerorchester, Norwegian Radio Orchestra, National Taiwan Symphony Orchestra, Royal Danish Opera and Singapore Symphony, Japan Philharmonic and Australian Youth orchestras. Perry has also worked with the St Petersburg Academic Philharmonic Orchestra, State Hermitage Orchestra of Russia, the State Academic Symphony Orchestra (Moscow), the Queensland Orchestra and Staatskapelle Weimar. His first CD (Violin Concertos of Barber and Korngold with Alexander Gilman and the Cape Philharmonic Orchestra) was released in January 2012 on Oehms Classics and received the prestigious Diapason D’Or. 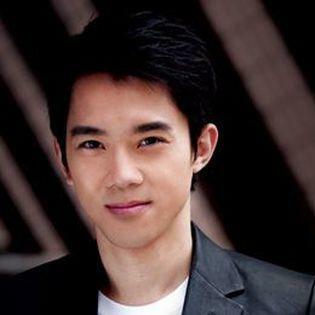 Born in Hong Kong in 1982, Perry So graduated from Yale University in Comparative Literature. As an undergraduate, he was Music Director of the Saybrook College Orchestra and the Opera Theater of Yale College, and developed an abiding interest in music of the Renaissance and the Baroque, regularly leading the Yale Collegium Musicum from the harpsichord. He is the recipient of a commendation from the Hong Kong Home Affairs Bureau for his international musical accomplishments.